King Chip, aka Chip tha Ripper, is best known for his collabs with Kid Cudi, who signed him to Wicked Awesome Records. 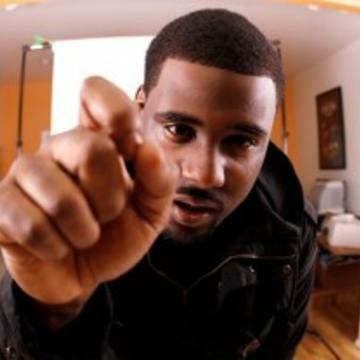 His "chopped n screwed" style, along with his humorous lyrics spawned a large following, specifically from his "SLAB Freestyle" rap.In 2009, he was featured on Kid Cudi's first album "Man on the Moon: End of Day," which hit #3 on the Billboard Top 100. In 2011, Chip teamed up with The Cool Kids, and Freddie Gibbs, to form the hip-hop group P.O.C (Pulled Over by the Cops). He officially changed his name from Chip tha Ripper to King Chip in 2012, when he signed a deal with talent agency, "Creative Artists Agency." His lyric, "Interior Crocodile Alligator / I Drive a Chevrolet Movie Theater" sparked a ton of memes/ YouTube videos. Stream RiFF RAFF's New Album "Peach Panther"
Talking To Logic & C-Sick On "Two Kings"